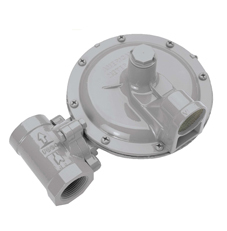 1800C series pressure regulators are designed for natural gas applications and feature a compact, lightweight design for fast, easy installation. Interchangeable orifices and springs provide a wide range of outlet pressures and flow rates. Extend the service life of your regulator and ensure optimal performance with repair parts from Honeywell Gas Depot. Orifice Valve, 1/8" x 3/16"..
Orifice Valve, 5/32" x 3/16"..
Orifice Valve, 1/8" x 3/16" EC..
Tag, 5/32" x 3/16" Orifice..
Tag, 1/8" x 3/16" EC Orifice..